There is no shortage of calendar apps for Android, each of which is looking for a way to set itself apart from the crowd. 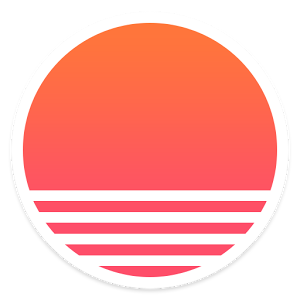 Lately I've settled in with Sunrise Calendar as my go-to, as it's just easy to use and provides all the features I want in a calendar. And it just got a little bit better. As of version 1.3, it now syncs immediately with Google Calendar. When changes are made in any of the apps, on the web, or in the Chrome app, then it happens across all devices in real-time. That's how a calendar should work, honestly. 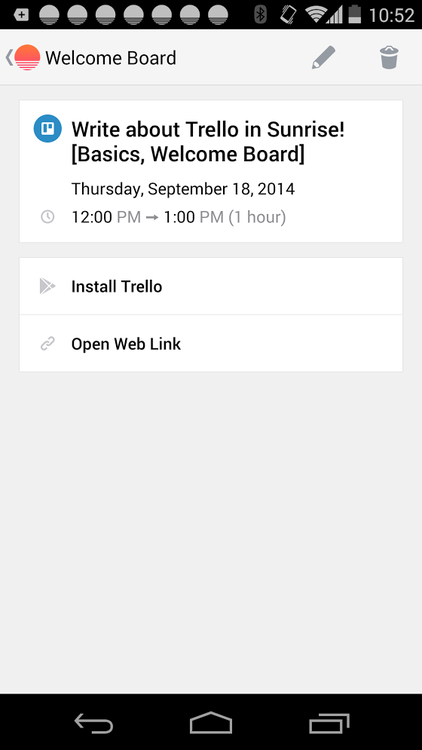 This update also brings app integration with Todoist and Trello. Add something to either app once they're connected to Sunrise, and it'll automatically be on your calendar. You can even edit the events from within Sunrise – it'll sync both ways. If you're not already a Sunrise user, grab it below and give it a shot.